Scientists believed that koalas hugged trees because that is where they eat and sleep but, as acacia leaves are inedible to the koala, they were actually leaving eucalyptus trees and hugging acacia trees in order to cool down. As climate change heats up our planet, many animals are suffering the consequences. 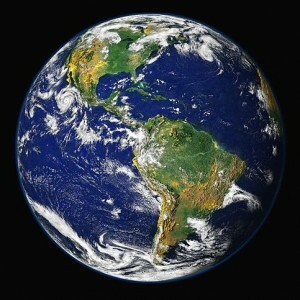 This is especially apparent in Australia, where summer temperatures are often higher than 40 degrees centigrade. Yet one study has discovered that koala bears have an ingenious solution to prevent dehydration. Published in the Royal Society’s journal Biology Letters, a team of scientists from Australia and the United States led the study which aimed to find out how animals in a woodland on French Island in the state of Victoria regulate their body temperatures as the continent gets hotter. They observed the behaviour of 37 koalas during the winter and summer seasons in 2009-2011. The scientists took measurements of shade and wind levels in the canopy using a portable weather station on a very long pole, but these findings revealed nothing. So they switched to using an infrared thermometer, which showed that the trees in which the koalas chose to sit were much cooler than the surrounding air temperatures. Koalas famously only eat the leaves of eucalyptus trees, but the trees the koalas were sitting in were actually acacias – trees that were the cooler than any others, possibly because they pull in a lot of groundwater, which is closer to the average annual temperature rather than the current air temperature. 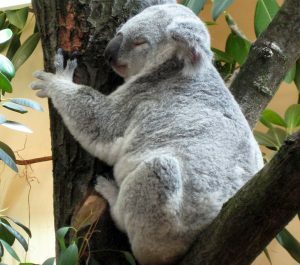 In fact, the koalas moved further down the tree as the temperature increased, and started to hug the trees, spreading out their limbs so that more of their body was in contact with the tree. Prior to this study, scientists believed that koalas hugged trees because that is where they eat and sleep but, as acacia leaves are inedible to the koala, they were actually leaving eucalyptus trees and hugging acacia trees in order to cool down. Dr Michael Kearney from the University of Melbourne was one of the scientists involved with the study: “When we took the heat imagery it dramatically confirmed our idea that ‘tree hugging’ was an important cooling behaviour in extreme heat,” he said. In hot weather, koalas pant and lick their fur to cool down because they do not have sweat glands. However this can lead to dehydration as water is often scarce and koalas rarely drink – they get most of their water from their diet but because eucalyptus leaves are toxic, they can only eat a limited amount. 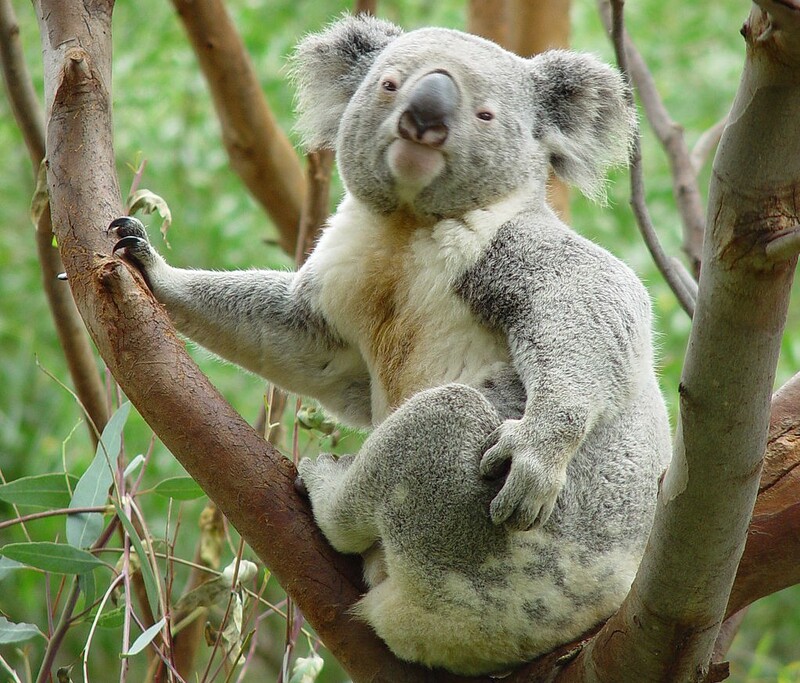 The study concluded that access to “cool” trees can save as much as 50% of the water a koala would need to keep cool on a hot day through excessive panting. It is likely that cool tree trunks are an important microhabitat in hot weather for many tree dwelling species around the world, such as primates, leopards, birds and invertebrates. It is clearly an important resource for koalas, and the results of this study will help to improve conservation efforts for their preservation, because not only do koalas need trees for food, they also need trees that will keep them cool. A heat wave in 2009 killed around a quarter of one koala population in New South Wales, so as Australia suffers more extreme hot weather due to climate change, tree hugging will become increasing important to this iconic marsupial. 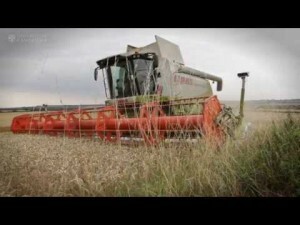 Climate change is causing temperatures to rise and, in places where they are already high, may cause these areas to become inhospitable to wildlife. As well as scales, pangolins are also hunted for their meat, considered to be “delicious” by some, a pound of which can sell for hundreds of US dollars. 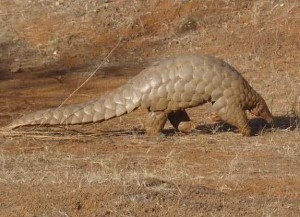 Unborn pangolin foetuses are also eaten as a delicacy, often found in soups.